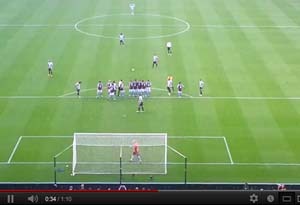 Video – Cabaye’s Villa Free-kick ‘From The Terraces’! Relive Yohan Cabaye’s last gasp free-kick against Villa but from the terraces! The French maestro hasn’t started the season on best form but he showed he hasn’t lost his touch on free-kicks with this Dreamboat special. We maybe didn’t deserve the three points but it shows that when you have real quality in the team they can sometimes produce three points from nowhere in this ‘from the terraces’ video special. Apologies for the curly haired bloke and we don’t mean Coloccini!